1. Miss Pettigrew lives for a day – Winifred Watson. 2. Wonderbook: the Illustrated Guide to Creating Imaginative Fiction – Jan VanderMeer. 3. Miss Buncle’s Book – D E Stevenson. 4. Outlander – Diana Gabaldon. 5. The Hundred-Year-Old Man Who Climbed Out of the Window and Disappeared – Jonas Jonasson. 6. The Snow Child – Eowyn Ivey. 7. On Writing: A Memoir of the Craft – Stephen King. 8. 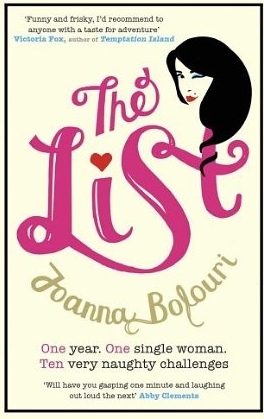 The List – Joanna Bolouri. 9. The Hunger Games (trilogy) – Suzanne Collins. 10. Queen Lucia – E F Benson. Also, the books of Charles Dickens, Molly Keane, Elizabeth Hunter, Deborah Harkness, Sir Arthur Conan Doyle!